After a short interlude, I have decided to join Interana - and a new exciting, challenging, and fun filled journey begins. That begs the question. Why did I join Interana? At this stage in my personal journey, it’s the people that matter the most to me. The people in my life, both personal and professional. This Interana team is WOW. When I met Bobby Johnson, Greg Smirin and the rest of the team it was just, WOW. This team rocks. They have the optimism of a team driving for success, based on their customers being successful. That is their passion. And then I met with some of the Interana customers. And the story was the same. Great people are great customers. They love the team AND they love the product. And they want more of the same. How about that for a great combination. I have spent over 10 years now in the data, analytics, and business decision space. It has been exhilarating to see the changes that have occurred. And all of these evolutions have been in search of a business decision platform that enables companies to make better decisions at the speed of conversation, to drive growth, be competitive, and make their customers successful. Interana is that platform. The customers told me so. We are living in the experience economy, driven by the “Swipe Generation”, and that experience lives inside the interactions they have with the products, services, and apps delivered to them every day across multiple platforms, digital and terrestrial. Facebook, Google, and Amazon are winning in this new economy. They are winning because they have built platforms that they have kept proprietary, that allow them to have a deep and intimate knowledge of their customers’ experiences, behaviors, actions, and interactions. At a granular level, in time and across time. This knowledge and these platforms give them a massive competitive advantage. As I’ve learned more about Interana, it’s clear that they have built on that concept and are making this available for their customers. We are at an inflection point for the modern enterprise. To be competitive, they need to win by giving their customers the best possible experience from start to finish. That inflection point is where the customer meets the product. Interana stands at that inflection point. We stand with our customers. The team has built the event data platform that will allow the enterprise to compete and to win. 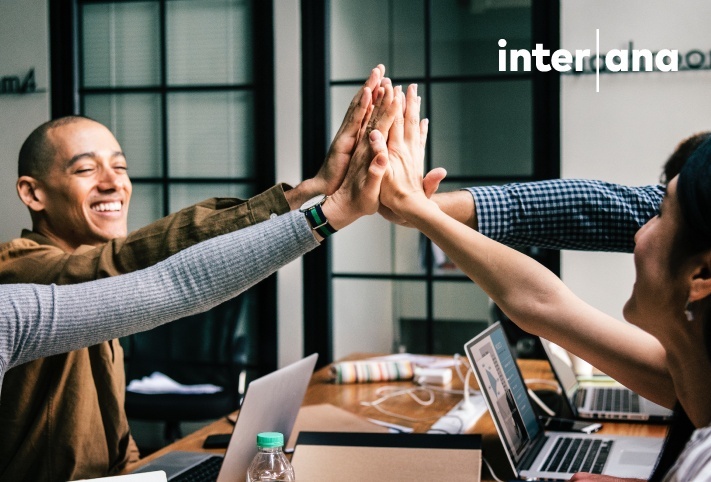 It is just WOW to join the Interana team. Eddie White joined Interana in July 2018 as the VP of Business Development.